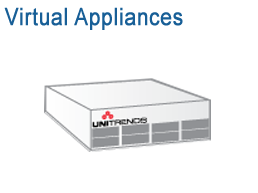 Unitrends has the industry's greatest breadth of innovative purpose-built data protection products for unmatched backup, archiving, disaster recovery, and business continuity - including physical appliances, virtual appliances, software, cloud storage and DRaaS (Disaster Recovery as a Service). 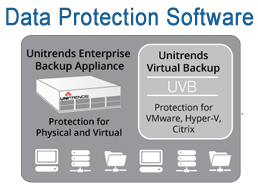 Unitrends Enterprise Backup (UEB) is backup software that protects your total environment, large or small. And while other virtual backup products only cover hypervisors and virtual machines (VMs), Unitrends protects everything - virtual, physical and storage assets." directly below "Their offerings include physical appliances, virtual appliances and software, and cloud storage and DRaaS (Disaster Recovery as a Service). 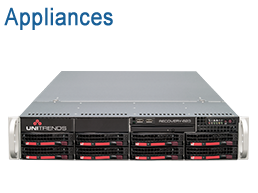 Unitrends has the industry's greatest breadth of innovative purpose-built data protection products for unmatched backup, archiving, disaster recovery, and business continuity. Their various products include cloud storage, virtual appliances, physical appliances and software as well as DRaaS (Disaster Recovery as a Service). Backup is easy. Recovery is what matters. Physical and virtual appliances built for easy recovery. Instant recovery of VMware, Hyper-V, and Windows. Unitrends has a culture and history of premium support for global customers. Average 3 rings to a support engineer (not to a dispatcher). 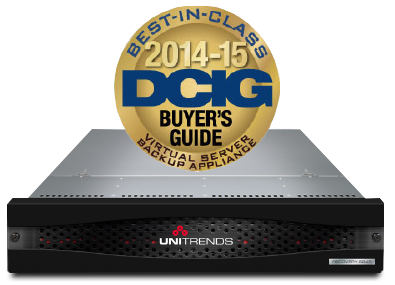 Unitrends Pledge—innovative appliance replacement program. Protects over 120 operating system versions - physical, virtual, and deep virtual. Single pane of glass for easy management. On-premise protection for fast recovery. Local archiving for long-term retention. Off-site replication, including to the Unitrends Cloud. All-in-one solution—integrated backup, replication, and instant recovery. Incremental forever, as often as 15 minutes. Purpose-built physical appliances for enterprise-class virtual, deep virtual, physical, and unified compute protection. Purpose-built virtual appliances for enterprise-class virtual, deep virtual, physical, and unified compute protection. Purpose-built virtual appliances for vSphere, Hyper-V, and XenServer protection. Purpose-built software for certified application failover/failback orchestrated across data centers. DRaaS (Disaster Recovery as a Service) and assurance for Unitrends enterprise-class physical backup appliances. A suite consisting of Unitrends Enterprise Backup, Unitrends Virtual Backup, and ReliableDR for one affordable price. A quick tour of the Unitrends All-in-One backup solution - protecting clients data. Overview of Unitrends Enterprise Backup core features and deployment process. A brief tutorial of how to install an isolated network inside VCenter using ReliableDR. 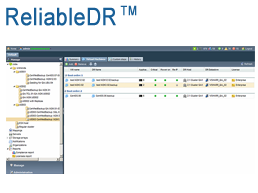 ReliableDR automates the replication and failover of your critical systems so that all Disaster Recovery processes - including failover and failback - can be automated and tested daily at far less cost than complex, manual alternatives. What is Disaster Recovery Assurance? Take a look at the new Disaster Recovery Assurance solution from Unitrends, ReliableDR, a next-gen tool allowing organizations to automatically and continually verify that RTO's and RPO's for critical systems, applications and business services can be achieved. On-Demand Webinar featuring Optrics Inc and Unitrends talking about protection of your data and disaster recovery. Download a full 30 Days Evaluation. Our specialists are expert in designing wireless solutions and can help you create a plan for sourcing and deploying your Unitrends solution. Optrics offers personalized Unitrends product training - a service designed to help you integrate your Unitrends solution smoothly into your network infrastructure. The number one benefit of using Unitrends is that I get to sleep at night and not worry about my backups.